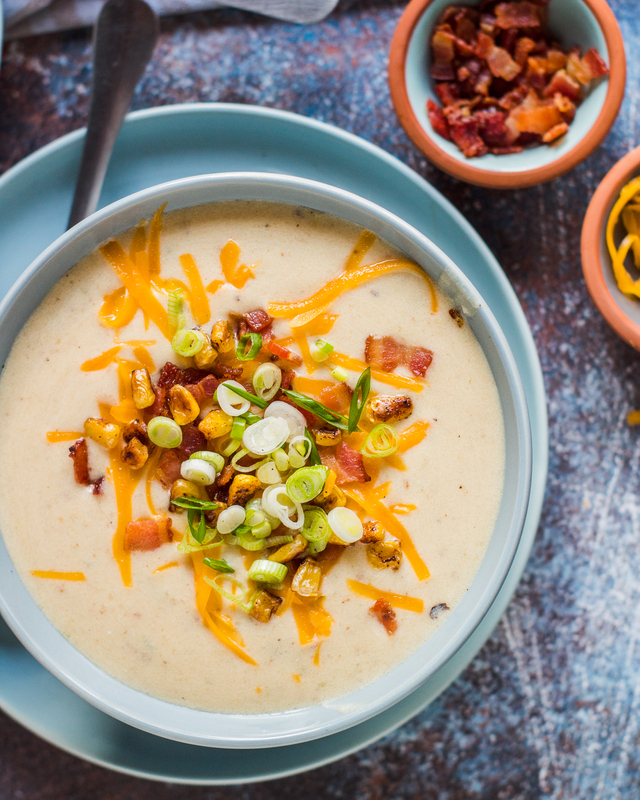 Combining 2 of my favorites, soup and loaded baked potatoes, into 1! 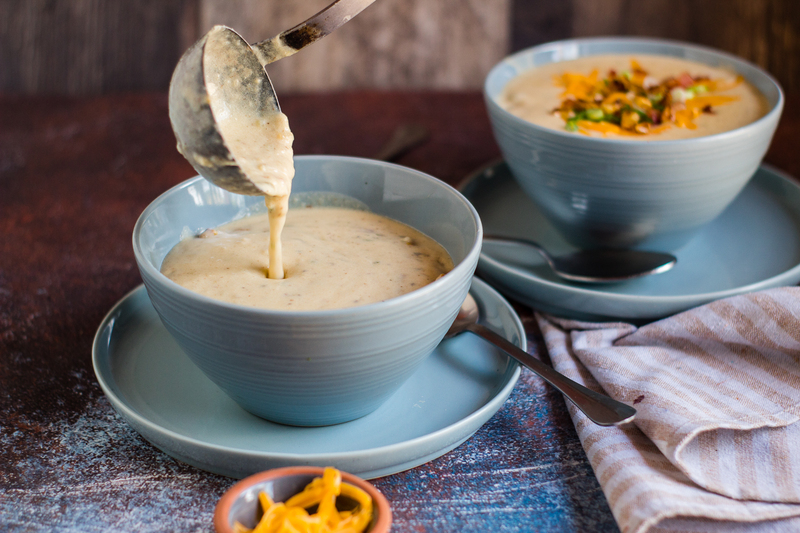 The result is this rich and creamy chowder packed with flavour and extremely filling. But don’t worry that won’t stop you from having seconds! This is sure to be a new favorite. To make it vegetarian, skip the bacon and use vegetable stock! In a large pot cook bacon until crisp. Remove from pot and set aside. Add butter to the pot and saute onions and garlic for 3 mins. Add flour and cook for another 3 mins. Add chicken stock and let it come to a boil. Add potatoes and cook until tender. Using a potato masher, roughly mash potatoes in the pot. Add milk, heavy cream, cream cheese, sour cream, cheese, corn/cream corn and bacon bits and let it simmer for 5 mins. Serve hot garnished with extra cheese and bacon.